Prof. Oren Levy is a Senior Lecturer in the Mina and Everard Goodman Faculty of Life Sciences. 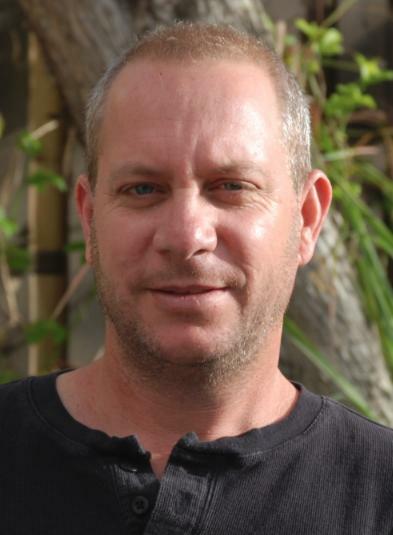 He came back to Bar-Ilan University from the University of Queensland, Australia, as part of the 2008 cohort of returning scientists, a special program within Bar-Ilan University to recruit young Israeli scientists to return to work in Israel. Levy heads the Laboratory for Molecular Marine Ecology, where his team studies the Scleractinian corals that form vast coral reefs in the shallow waters of the tropics and sub-tropical oceans. Levy and his team seek to understand the mechanism of circadian rhythms in relation to corals’ skeletal composition and growth. They ask fundamental evolutionary and biological questions about the degree to which the external environment controls the structure, growth and composition of the skeleton, and whether controlled manipulation of the growth-environment allows specific skeletal features to be developed. Scleractinian (reef-building) corals are among the most efficient biomineralizing organisms in nature, and are important for global ocean chemistry, nutrient cycles, and the continental shelf-environment. Reef-building corals form symbiotic relations with the photosynthetic dinoflagellate algae that provide much of the energy needed by the coral holobiont by means of photosynthesis. Although there are some indications for rhythmic behavior, very little is known about the circadian clocks that control the biology of these symbiotic organisms. There is no clear evidence from molecular or physiological perspectives for a circadian mechanism that controlls the metabolism, photosynthesis, or calcification process involved in the formation of these calcium carbonate skeletons (polymorph aragonite). Levy and his team aim to reveal the fundamental molecular and physiological circadian clock apparatus in symbiotic corals and their interaction with light and temperature variations, two key clock synchronization signals. They investigate the circadian clock mechanism of the coral host in relation to the environmental cues of light and temperature, and explore the endosymbiotic symbiodinium circadian machinery in relation to light and temperature cues. In addition, they study whether skeleton calcification, skeletongenesis, is regulated by the coral circadian rhythm. In Levy’s lab, symbiotic corals serve as a model system for investigating the dependency between two circadian-system associations or non-associations in the simple multicellular organism, on both the physiological and molecular levels. Their research centers on the circadian clock of one symbiotic coral, and its associated zooxanthellae (the system). They investigate the system in terms of three of its components: the coral (animal), the symbiotic algae, and the skeleton. Studying symbiotic scleractinian corals as a model organism can provide useful insights for understanding the molecular, genetic, and developmental complexity of the metazoan circadian clock. Coralsare likely to be critically important from an evolutionary point as this phylum is regarded as the sister group to the Bilateria, and is known to be the simplest eumetazoan marine organism. To study the coral circadian clock biology process, Levy and his team integrate techniques from molecular and cellular biology, physiology, high-precision stable isotope mass-spectrometry, and quantitative nano-scale ion-microprobe technology. They leverage their vast experience with coral growth and maintenance in both natural and controlled laboratory environments. By applying this unique and novel combination of scientific methods, Levy and his group hope to better understand problems of fundamental importance to coral reef chronobiology, ecology, and physiology.